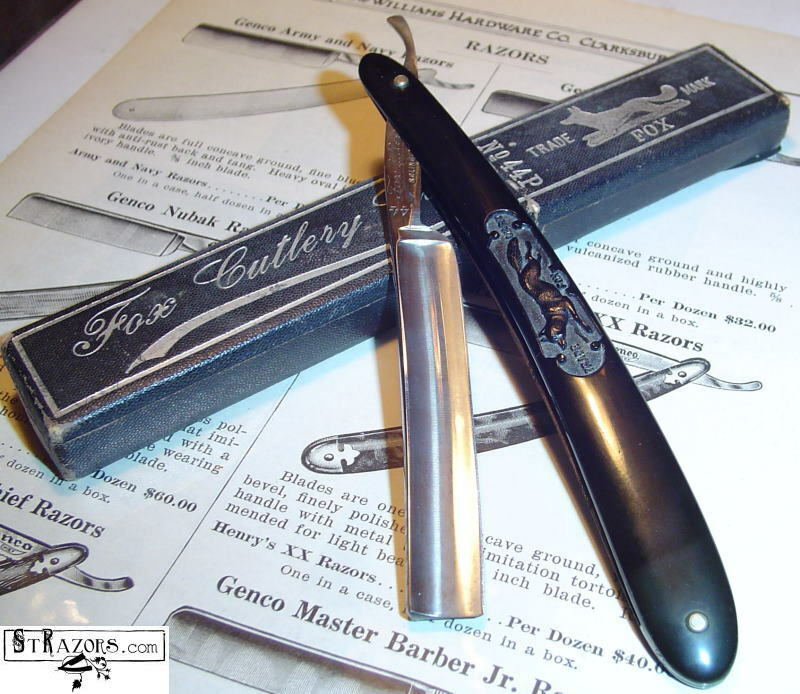 STRAZORS.com - all about classic razors - Fox Cutlery Co., Solingen. This marking was first used by the Koeller & Schmitz Cutlery Company of Solingen in 1884. The German company also had offices in New York City at 48 Central Street and 928 Main Street, Dubuque, Iowa. In 1915, the Fox Cutlery Company became an independent company, and was at 216 Sycamore St. in Milwaukee. By 1955, the firm was out of business, and the trademark "Fox" and running fox was the property of the Schweizer Cutlery Company.